(Reuters) - Apple Inc said on Wednesday it had found a higher number of serious violations of its labour and environmental policies for suppliers, such as falsifying work hours data, as it expanded the scope of its annual audit of conditions of workers making its iPhones and other products. 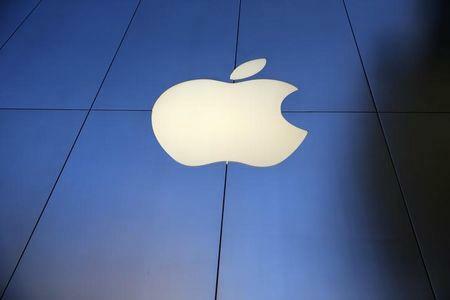 But the overall trend among 756 suppliers in 30 countries was toward higher compliance with Apple's code of conduct, according to a new report by the company, which has been carrying out the audits for 12 years. The latest annual supplier responsibility report includes 197 suppliers audited for the first time.Apple runs one of the largest manufacturing chains in the world, mostly factories owned by contractors. Apple said in the report that the proportion of "low performers," or suppliers scoring less than 59 points on its 100-point scale, fell to 1 percent in 2017 from 3 percent in 2016 and 14 percent in 2014. "High performers" with scores of more than 90 rose to a record high of 59 percent from 47 percent the year before. Apple found 44 "core violations" of its labour rules in 2017, double the previous year. Those included three instances of employees forced to pay excessive fees for a job, a practice Apple banned in 2015. In one case, over 700 foreign contract workers recruited from the Philippines were charged a total of $1 million to work for a supplier. Apple said it forced the supplier to repay the money. Compliance with Apple's 60-hour work week fell to 94 percent of suppliers from 98 percent in 2016. Apple said it uncovered 38 cases of falsification of working hours data in 2017, up from nine cases the year before. When Apple finds such falsifications, it notifies the chief executive of the supplier, puts the supplier on probation until a fix is implemented and conducts reviews to make sure the fix prevents future violations. "We’re committed to raising the bar every year across our supply chain,” Apple’s chief operating officer, Jeff Williams, said in a release. Apple said the increase was driven by the fact that it brought on a number of new suppliers in 2017 and started tracking the working hours data of 1.3 million supplier employees, 30 percent more than in previous years. In the report, Apple also said it was launching a women's' health initiative at its supplier plants, with a goal of reaching 1 million women by 2020. It said it had launched a programme in China to train workers to become factory line leaders, who often make 20 percent to 30 percent more than line workers. On Wednesday, Apple also issued its conflict minerals report, which is required by United States securities regulators. The report lists suppliers of sensitive metals such as tin and gold. Apple said 16 smelters and refiners left its supply chain in 2017, 10 of which were dropped because they would not participate in a third-party audit of their practices. Six left of their own accord. Apple also outlined new rules on student labour after a discovery last year that some Chinese students were working more than 11 hours a day assembling the iPhone X.